I was playing a game using Google Streetview where you get thrown into a random mystery location and you have to try to figure out where you are. I found myself in either Sri Lanka or Singapore (I can’t remember which) but eventually traveled past this guy who seemed doubly damned happy about something. Maybe he was just excited to be alive. Maybe he just turned his odometer over to 000000 and had to get out of his car and celebrate. 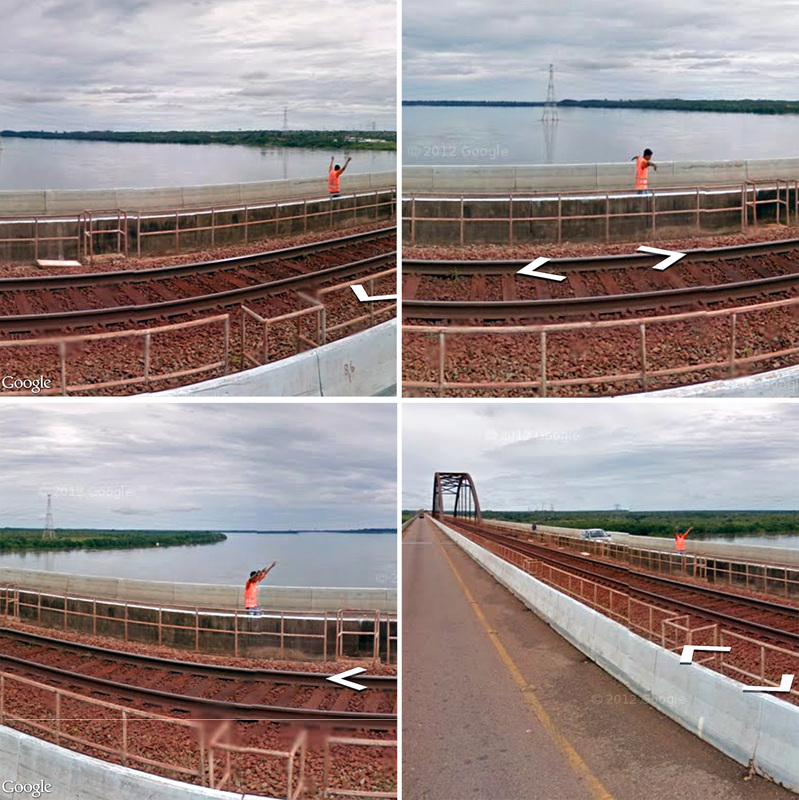 Perhaps he was able to dump the body bag over the bridge all by himself. Whatever the case, he and I crossed virtual paths for a brief time and I share in his enthusiasm. You go dude!